Do you want to qualify for huge prizes just for playing a few bingo games? Do you want to hit progressive bingo jackpots? Do you just want to chase away boredom for good? If you answered YES to even one of these questions, then high adventure awaits you in online bingo. It’s just a matter of unlocking all of the possibilities. One of the reasons why people skip over online bingo is because they’re only thinking of one type of bingo. Usually the type of bingo that they’re thinking about is the “five in a row” type, and that’s far from the only variant of bingo that you’ll find online. When it comes to bingo, we call the different types of bingo “variants”. If you want to really get started, you have to check out for different variants of bingo online at honeybeesbingo. We’ve already told you a little bit about honeybeesbingo, but we didn’t tell you how many different variants await you in terms of bingo action. If you’re looking for a slower bingo where you have time to daub all of the numbers, this bingo portal has that covered for you well enough. All you have to do is join the room and begin to daub the numbers as they are called. If you don’t want to daub the numbers, there is usually an auto daub feature activated. This makes things even easier because you can chat with people while the system automatically daubs the right numbers. Some systems actually auto-call the bingo for you, while others require that you at least signal when you have the bingo. It just depends on how the room is set up, so make sure that you look at what features the room has. You also have to make sure that your bingo matches the pattern that the room is looking for. If you’re playing a double X room, then you basically have to get two bingos in one, each on the diagonal in order to win. But you might be playing in a fast progressive blackout room where you have to daub all of the numbers yourself and cover your entire card before you can call a bingo. That would unlock a bigger prize, but it’s also a much longer game than the others. It’s completely up to you of course, so make sure that you look into it! Playing bingo online is something you can do at any time of the day or night and perhaps that’s why the game has become so astoundingly popular with millions of players around the world. Bingo has always had a strong following but now it’s online, there’s no need to wait for the bingo hall to be open – you can play bingo whenever and wherever you want. For instance you can play bingo at 32Red at any time as the games schedule is 24/7. You’ll find a choice of different 90 ball bingo games to play in any of the different bingo lounges, each of which is open for different periods during the day. The Sunshine Lounge is where you’ll find the free bingo games, but there’s also the Harmony Lounge and the Sapphire Room where a new game starts every five minutes. And if you like your games of bingo to move really quickly, head to the Speed Bingo Lounge where a new game starts every two minutes. Wherever you choose to play bingo, it’s a good idea to keep playing on the same site, as each runs player loyalty reward schemes where you can build up points towards new promotions. And many sites offer not only a welcome bonus with your first deposit, but also further bonuses for re-deposits. If you’re going to put money into your account to play bingo or other games, you may as well make the most of any free money the site is willing to give you at the same time. The other good thing about playing consistently in one place is that you’ll get to know fellow players. 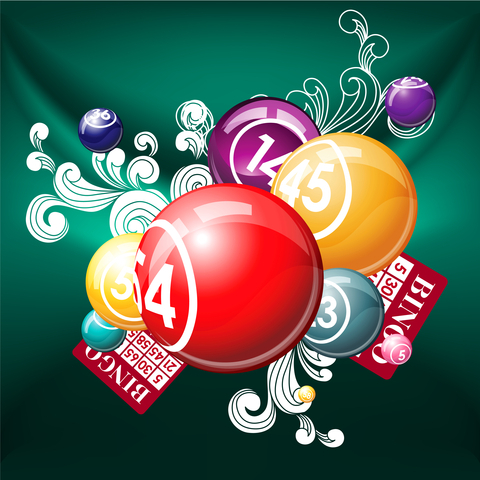 Part of the attraction of online bingo is that you can meet other players online in the chat rooms connected to the games you’re playing. As the games don’t really require player involvement – apart from buying a ticket – this frees you up to chat to others online. The good thing about joining the chat is that everyone there is looking to have some fun and some friendly banter while they’re playing bingo. It always seems to be that there’s a cheerful atmosphere in the bingo chat rooms, with plenty of jokes flying around, and people can enjoy watching the progress of the game together. When you first go into a bingo chat room, you’ll see that lots of abbreviations are being used – 32Red has a handy guide to bingo lingo on its site so you can see what everyone is talking about! Each chat room has a host that moderates the comments if necessary and makes sure that everyone there is happy. They also run chat games – giving you further chances to win money or free entries to other bingo games. Whatever your reasons for playing bingo, there’s also the hopeful expectation behind every game of bingo that you play that you just might be the lucky one this time – yet another reason why the game is so popular! Many people wouldn’t think of playing bingo as gambling. This is probably because it’s always been a game played in communities and it has a long-standing reputation as a great way to raise funds for local causes. In fact, in the 1930s bingo really first took a hold in the States as a church fundraiser, and by the end of the decade more than 10,000 games a week were taking place in churches across the country. But in fact, if you go online and play bingo today, you’ll find that the jackpots up for grabs are just as amazing as if you play progressive jackpot slots games. There are many offers and promotions out there and interested gamers should look into these regularly. For example, you can even play free online bingo from www.costabingo.com every Friday night where there’s a £10,000 guaranteed jackpot to be won. What a great way to start the weekend if you happened to land the top prize – especially as it costs you nothing to play! The great thing about playing bingo is that there’s no need to devise a cunning strategy in order to win – in the same way that you’d have to do if you were playing a game of poker. All you need to do for bingo is choose which games to play and pick the tickets you want. Unlike the old-fashioned form of bingo where players would have to concentrate on the number calls so that they didn’t miss out on a possible win, with online bingo the software does the concentrating for you, marking off any matching numbers as they are called. In fact, if there’s a game you want to play, but you can’t spare the time to be at the computer when it’s going on, you can even pre-buy the tickets and they will be played through in your absence. The next time you login to the site, you might find a nice win credited to your account! But even though you can win some amazing and life-changing jackpots playing online bingo, there’s something a bit different to the game compared to other gambling games. Somehow it’s not viewed as gambling and it’s probably this that makes it a game that appeals to everyone, no matter their age or place in life. Part of the difference with bingo is that people can enjoy socializing while they play – something that’s not possible when you’re playing poker, for example, which requires all your concentration to win. But on bingo sites, the chat rooms are always busy with lots of gossip and jokes bouncing around between players, who are all in a great mood as there’s a feeling of expectation and anticipation that a win could be about to happen at any moment! And added to the fun are the frequent chat games that run alongside the main bingo games, where players can win extra bingo tickets and small cash prizes. Bingo’s definitely a form of gambling, but it doesn’t always feel that way! Are you thinking about playing bingo online? Chances are good that you’re in good company. If you really held a global poll, you just might find that bingo no deposit is one of the most played games around. There’s a strong set of reasons for that. First and foremost, bingo is something that is competitive without being mega competitive. It’s not poker. It’s not blackjack. It’s not a game that is going to necessarily bring in a win every time, but the truth is that it’s a soothing game to play after a long day at work. Life is too short to always be out competing all the time. You have to take small victories where they come. In this vein you have the classic bingo portal offline, which is a community center that brings in people from all walks of life. However, the hours are limited. What if the traffic around your home is just too thick to make it out to the bingo hall on time? What about if the games played there just aren’t to your liking? There’s always the Internet, and the good news is here: online bingo is really what you make of it. If you’re not the chatty type, you can just focus on the bingo games. If you really want to get social, you’ll find a lot of social elements online, from chat rooms all the way up to forums where you can talk about bingo as well as share a little bit more of your regular life. It’s completely up to you. However, if you’re really looking for the identifying markers of a great bingo hall, there are a few that you might want to check into. First and foremost, you want to look for a place that has plenty of different bingo patterns and games to play. You don’t want to just play the same patterns over and over. There should be a little bit of randomness to it. That’s what can make a bingo game challenging to win. If you love blackout, you should include that on your list. In fact, if there’s anything you want, it should be on your list at the top. From here, you will also need to think about the money that you will need for each bingo game. You don’t want to blow through your bankroll that you have set aside for your bingo playing in one fell swoop, do you? It’s better to balance your books and play slowly so that you really get a chance to enjoy yourself. There are some bonus packages at every casino, so make sure that you look into those before you make your first deposit. While money isn’t everything, the truth is that money does help you play longer at online bingo. So, are you ready to step up and play bingo? If you are, then the tips in this guide will definitely come in handy — why not get started today? Catch The Buzz About Online Bingo Today! Are you buzzing about casino games? Then you’re definitely not alone! You will be able to jump right into casino gambling online and have a great time. But it’s not just enough to dive in these days. You’re going to need to really catch the excitement and passion of what it means to play online gambling. You’re going to be playing with real money, which means that there is some real risk. If you are going to be okay with that, then it’s a great time to really be able to sink your teeth into a game that’s all about luck and equal opportunity: bingo. Indeed, online bingo is open to everyone. There’s no need to be a wizard at gambling or anything like that. As long as you have the ability to fund your online cash account, then you’re going to be able to play to your heart’s content. There’s a bustling community for online bingo for this reason. There’s a lot of excitement that comes from knowing that you don’t have to be smarter than anyone else just to win extra money for yourself. Most people can attest that winning extra money and really having a good time is always a good thing. The more work that you can put into really finding the perfect place to play bingo, the easier it will be in the long run to get what you ultimately want. You just need to know where to start looking. The right bingo hall can be found by looking up reviews. There is a lot of debate over whether or not reviews are going to be effective. The truth is that they definitely are going to be effective. We think that reviews make the difference between a good bingo hall and a great one. Reviewers are very honest because they want people to know exactly where they stand in terms of the bingo hall in question. If you do indeed find a bingo hall that you really like, it’s going to be a good idea to leave a review of your own. Not only will you start to develop a follow in the world of casino gambling, but you will also gain new friends. Never be afraid to be honest about your experiences when it comes to gambling online. There is a great bingo site just waiting for you, and they will even make sure that you get a nice welcome bonus just for playing. What more could you want? Check it out for yourself today — you really won’t regret it! Bingo is a gambling game where players must rely on chance. Although there are no workable strategies to make certain numbers appear, you can increasing your odds of winning bingo through the use of several simple strategies. These strategies can make your online bingo money-making endeavors more profitable. No two bingo websites are created the same, which means you need to familiarize yourself with the rules of the specific site you frequent. For example, partybingo.com might have different rules and regulations than other bingo sites you might visit. You should only play on gambling websites that are lenient as to the amount of cards a player may use. Do not waste your time by playing bingo on a site that makes getting a payout seem like an insurmountable task. Even though logic dictates that using more cards will up the chances of winning, continuing to purchase additional cards without experiencing a significant win will hurt you in the long run. If you buy three more cards and make a tidy profit, you will have a better chance of getting ahead than buying six cards and not winning a dime. Plus, the more cards you have to monitor, the more likely you will be to miss a few numbers. If you wait to long to call a “bingo,” you run the risk of splitting your winnings with other players and watching what should have been a hefty payout quickly turn into a pitiful one. With a little research, you can locate a bingo website that offers auto marking and auto calling. These features will allow you to relax and watch the game unfold. 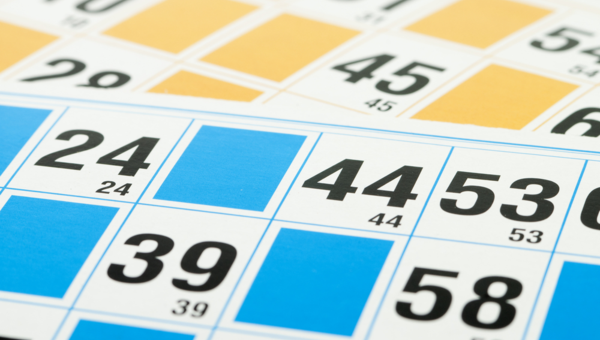 In the game of bingo, there are a total of 75 numbers that can be called. And because each number is different, they all have an equal chance of appearing in any game. Of course, the more bingo numbers that are called, the better your chances of winning; the first number called has a 1-75 chance of being on your board and if it is not on there, the next number holds a 1-74 chance. 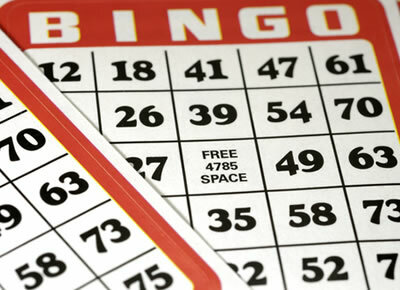 A single bingo card displays 25 different spots; however, there is only room for 24 called numbers to be marked as the center square is a “free” space that everyone can mark at the start of a game. Remember to pay attention to the game’s winning pattern. In some cases, the entire board will need to be filled before a “bingo” can be called. Many people still think of bingo as a game played by blue haired ladies in smoky church basements. In the world of online bingo nothing could be further from the truth. In Great Britain bingo is the most popular leisure activity among women from 18 to 30. About 75% of all online bingo players are female, and this is the audience targeted most often by online bingo operators. Online bingo has a lot of clear advantages over land based bingo. Bingo halls do not generally offer bonuses and freebies but online bingo sites do with amazing regularity. Most online bingo sites offer incredibly generous first deposit, or welcome, bonuses. Most welcome bonuses are based on a percentage of the first deposit. At most bingo sites the bonuses are well over 200%. Most sites also offer free bingo games so potential players can test their game software and many free games actually offer cash prizes. Online bingo games are much cheaper than a visit to a local bingo hall. 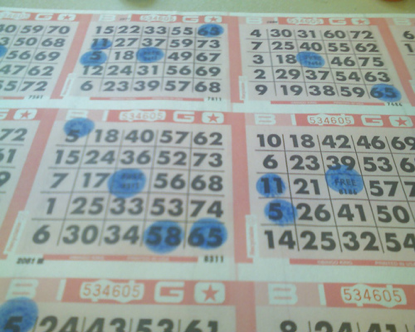 Most land based bingo halls charge admission and have high card prices compared to online bingo. Online bingo players have no transportation costs and do not have to find and pay a babysitter. There are no expensive snacks or drinks to buy either. For those that still smoke online bingo is perfect. Most European countries and most states in the US have smoking bans without exceptions for bingo halls and smokers can happily puff away while playing online bingo. Online bingo is a random game of chance and players to not need to memorize complicated strategies and do not have to memorize what cards have been played. Even better the auto daub feature at online bingo sites enables players to play several cards at once and multi task while playing bingo. Players also have access to an impressive selection of side games including video poker and blackjack, roulette, slots for real money, keno, lottery style pull tab and scratch off games. Most sites have a complete selection of casino games. For bingo players without access to a local bingo hall and those in rural areas online bingo is a perfect solution. The only thing needed is an internet connection and increased broadband access and flash technology has enabled game developers to create high quality realistic bingo and side games. Best of all games are available 24/7 and can provide hours of fun and entertainment and the chance to meet new friends from around the world. The Hunt For Free Slots Online Isn’t Difficult at All – Check It Out! Life, liberty, and the pursuit of…gambling? Yes, it’s true — if you want to get through life, you’re going to have to work hard for most of it. However, there comes a time where you really do want to make sure that you focus on having a good time as well. With the rising gas prices everywhere you look, chances are good that you don’t want to just jump in your car and drive around. It’s better to actually make sure that you focus on actually having a good time without spending too much money. Think about it — just as you use the Internet to look up information, you can use it to have a great time. That’s the whole point of gambling online. Just because you’re hunting for free slots doesn’t mean that you aren’t going to have a good time. The fun part about slots is that you never really know what you’re actually going to get. You don’t know really what’s going to happen, and that’s the best aspect of the slot game. If you want to check out the slots world without actually having to make a financial commitment, free slots is your answer. Of course, there are other types of gambling games out there, but sometimes you just need a break from a lot of heavy thinking. And let’s face it; if you’re going to play poker or blackjack, you’re going to need to employ some strategy. While that’s right up some people’s alley, it doesn’t have to be up your alley necessarily. You can actually get a lot of fun out of free slots or even free online bingo — you don’t have to always go for the most strategic gambling games out there. Yes, even if you want to play online bingo instead of hitting the slots, you can do that without spending money. This is because the major bingo portals online want you to have a good time before you actually decide to commit to the casino itself. So you don’t have to feel like everyone’s going to want money up front just so you can have a good time. The casinos know that just getting people in the door to check out the service is a step in the right direction, so they can definitely be patient with you. Overall, if you’re looking into ways to entertain yourself from home, it’s definitely time to check out the world of online gambling — why would you delay when there’s hours of fun ahead, literally?